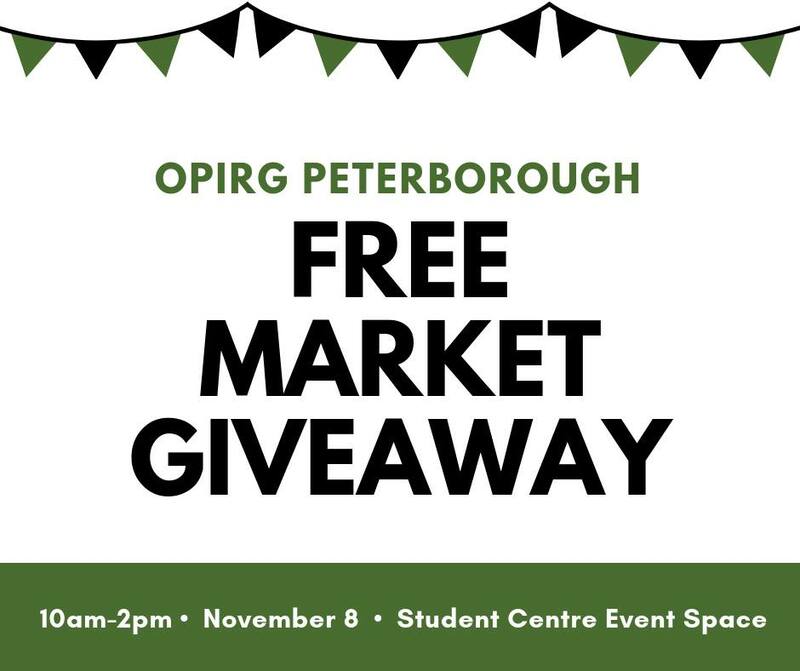 As part of Waste Reduction Day, OPIRG Peterborough will be hosting a Free Market Giveaway on campus from 10-2pm in the Student Centre event space. Drop by to pick up books, clothes, shoes, kitchen items, and much more! !